As with everything else in life there are ‘rules’ governing the checking of your luggage when you travel. They aren’t real complicated. Rather, they are more like common sense things to do. Paying attention to these tips could make your checking in an easier process. Do check airlines and other transportation modes to see what their policies are regarding checked luggage and carry on luggage. Most have a weight limit or a quantity limit. You should also check to see if the company has a luggage tracking service and how to make a claim in the event of damage or loss. Do label your bags clearly with your name, address, and phone number. It sometimes recommended that you list your destination as well. This information should be placed inside your luggage as well along with your itinerary. You must definitely remove any old luggage tags that might cause your luggage to be misrouted. You might want to put colorful straps on the outside of your luggage to prevent it from popping open and possibly theft. Do go directly to the luggage claims area to retrieve your luggage. This will help prevent loss and theft and get you out of the airport or depot that much faster. If you delay in retrieving your luggage it could be lost, damaged or stolen. Do carry on such things as keys, medicine, computers and computer equipment, important documents including travel documents, and jewelry. Cash, cameras, and other personal and highly valuable. Don’t check bags that don’t close properly-they could pop open. Don’t check any bag with missing or broken parts, this will prevent further damage. Don’t over pack as this can strain the frames, seams, and/or zippers. Don’t check bags that are meant to be carry on bags. 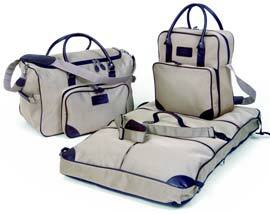 These include briefcases, tote bags, or garment covers. Don’t forget to have fun!